Available Colors: Frosted: Lime Green, Orange, White, Purple, Red, Blue or Black. Customized 5" x 7" Spiral Notebook Item #HT-6970 (Minimum Order: 100). 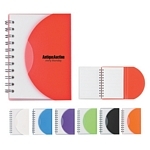 Promotional Notebooks like the 5" x 7" Spiral Notebook can be personalized with your business logo and with No Setup Fees. 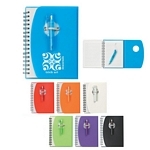 Customized Mini Spiral Notebook (Item #HT-6971) is Promotional with a Free Artwork Imprint. Promotional Notebooks like our Personalized Mini Spiral Notebook are decorated with your logo with no setup fees. Customized Spiral Notebook With Shorty Pen (Item #HT-6976) is Promotional with a Free Artwork Imprint. 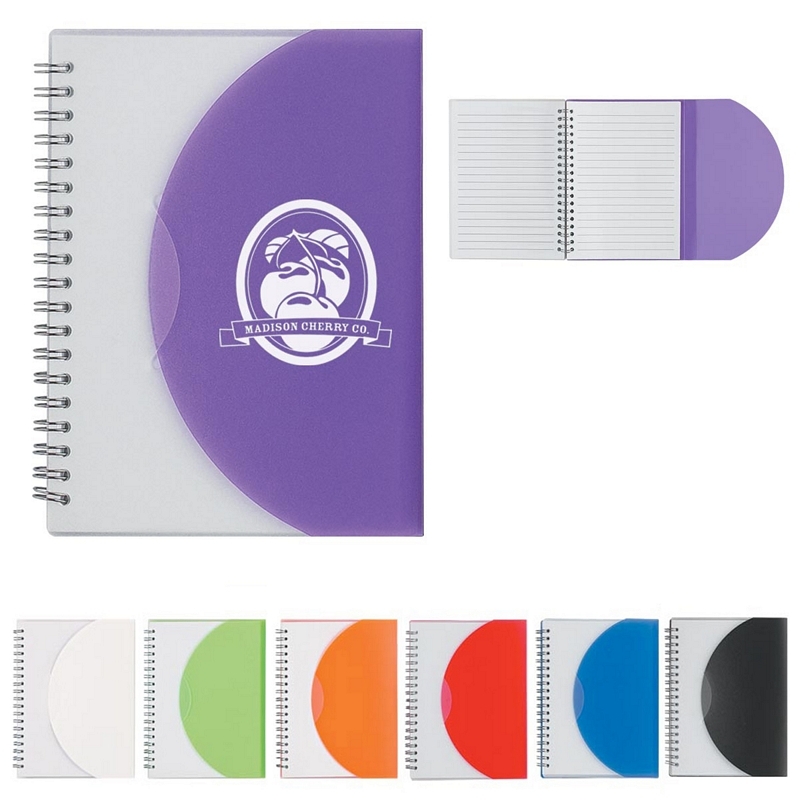 Promotional Notebooks like our Personalized Spiral Notebook With Shorty Pen are decorated with your logo with no setup fees. Customized Spiral Pocket Jotter with Pen Item #HT-6980 is Promotional with your business logo for advertising to clients. 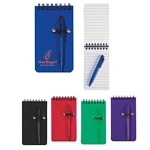 Customized Spiral Pocket Jotter with Pen and other Promotional Jotter Pads are decorated with No Setup Fees. 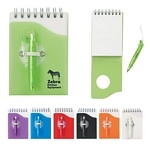 Customized Mini Jotter Pad with Shorty Pen Item #HT-6975 (Minimum Order: 100). Promotional Jotter Pads like the Mini Jotter Pad with Shorty Pen can be personalized with your business logo and with No Setup Fees.